Find Super Bowl party recipes for half-time main fare that's sure to make a roomful of hungry game fans stand up and cheer. CooksRecipes has quality, kitchen-tested recipes for fan-pleasing main dishes that you can count on for successful deliciousness. Touchdown! 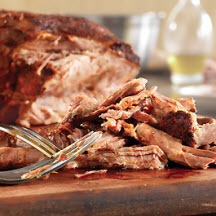 This easy to make pulled pork will make game day sandwiches that are at the top of their game. Add a fun mini-spin to your party menu with these oniony miniature burgers. 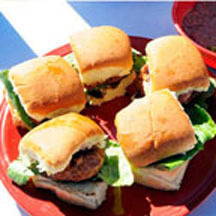 Nothing mini about the taste of these super sidekick sliders!